Viola Davis (a.k.a QUEEN VIOLA) won the Best Supporting Actress Oscar for her role in “Fences.” (She also gave an excellent acceptance speech.) This wasn’t remotely a surprise, as she was CLEANING UP during awards season. This win has now ushered Davis into an upper echelon of artists that many people don’t achieve. When she was nominated for the award, Davis started making history right out of the gate. She became the first Black actor or actress to receive three Oscar nominations. (Her two previous nominations were for “Doubt” in 2008, and “The Help” in 2011.) This year’s Best Supporting Actress nominations was the first time three Black women were nominated, and the second time three non-white women were nominated. With her win, Davis has hit other records. She’s now the 23rd person to win what’s called the triple crown of acting: a Tony, an Emmy, and a “competitive” (a.k.a. non-honorary) Oscar. Davis is also the first Black actor to achieve this feat, winning Tony for “King Hedley II” in 2001, and “Fences” in 2010, and an Emmy for “How to Get Away with Murder” in 2015. This club is a rare one indeed. Davis is the first actress of her generation to achieve this honor. She even beat perennial-nominee-for-everything Meryl Streep to the punch. Davis also has three out of the four awards required for an EGOT “grand slam:” Emmy, Grammy, Oscar and Tony (though one could argue that Davis herself brings the G). The Grammys don’t honor acting, so the EGOT is more about versatility in the entertainment industry. Remember how the last couple of Oscar ceremonies were plagued by a lack of diverse nominees, especially in the major categories? The Academy has appeared to learn from that. The change has become especially clear in the acting categories. This year, each acting category has at least one Black nominee. Washington is now the most nominated Black actor in Oscar history. He’s had six previous nominations, two for Best Supporting Actor and four for Best Actor. He won Best Supporting Actor in “Glory” in Best Actor for “Training Day” in 2001. This is the second time the Best Supporting Actress category has had three non-white nominees. The first time was in 2007, with Jennifer Hudson for “Dreamgirls,” and Adriana Barraza and Rinko Kikuchi for “Babel” nominated. Davis made history this year by becoming the first Black actress to score three Oscar nominations. Previously, Whoopi Goldberg was the only Black actress to have two Oscar nominations. She won the Oscar for her second nomination for her performance in “Ghost” in 1991. Actress/comedian Whoopi Goldberg won an Oscar for “Ghost,” the seminal Patrick Swayze movie where his character dies and comes back as, you guessed it, a ghost. (Shocker, right?) Goldberg played Oda Mae Brown, a psychic who helps Swayze’s character. 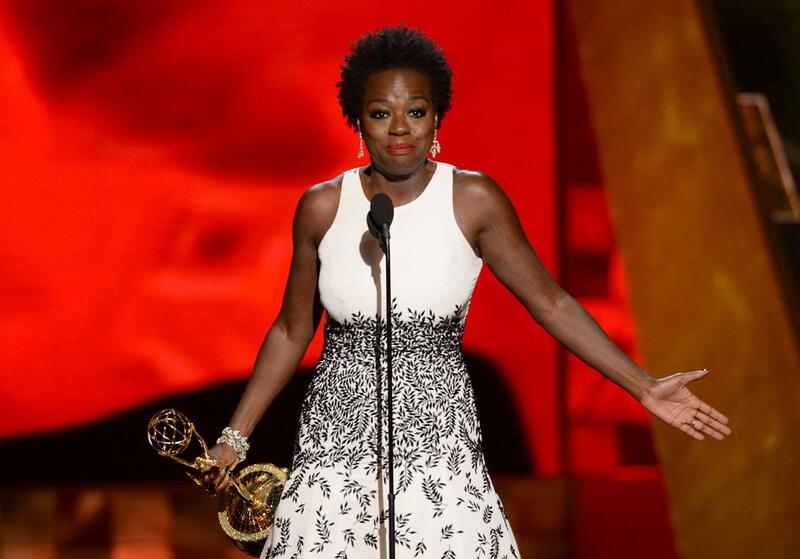 At the Emmys this past weekend, actress Viola Davis was nominated for Best Actress in a Drama Series for her lead role in ABC’s “How to Get Away with Murder.” Though she didn’t win on Sunday night, she won the award in 2015, and made history in the process. Davis became the first Black woman to win the Best Actress award. Crazy that seemingly simple milestones are still only now being surpassed. Acclaimed actress Viola Davis made history last night when she became the first African-American actress to win the Primetime Emmy Award for Outstanding Lead Actress in a Drama Series. Davis plays lawyer and law professor Annalise Keating in ABC’s “How to Get Away with Murder,” now in its second season. The Academy of Television Arts & Sciences is finally beginning to recognize more diverse talent. Davis was up against Taraji P. Henson for “Empire,” which was the first time two Black women were nominated in the same category. Davis acknowledged Henson and 2013 and 2014 nominee Kerry Washington in her acceptance speech. Some context for this win and occasion: The category has been awarded since 1953. Debbie Allen was the first Black woman nominated in the category in 1982. It begs the question: what took so long? !